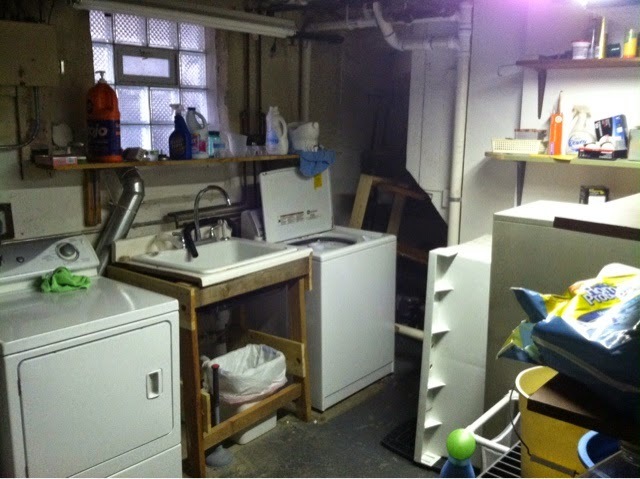 One of the things I want to tackle this year is updating and improving the laundry room, aka my real mancave. 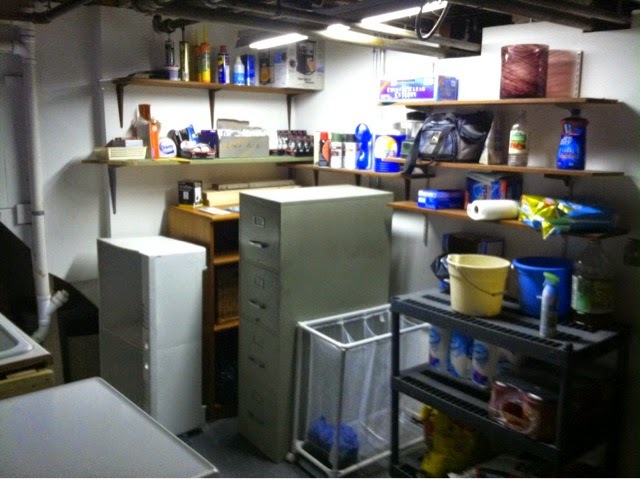 The space is cramped and not optimally utilized. With ChildCare costs now in the picture, I'm on a very tight budget however so I don't know how much I'll be able to do. We will likely have to upgrade the dryer and washer so that expenses isn't so much unavoidable as it is hold off as long as we can. What I really want is a better sink and something for the floor, I'm thinking Proslat Protiles though that is very cost prohibitive right now. For some strange reason, we have this pipe that cuts off the section under the stairs. I have no idea why anyone would run pipes this way unless they didn't have a choice. 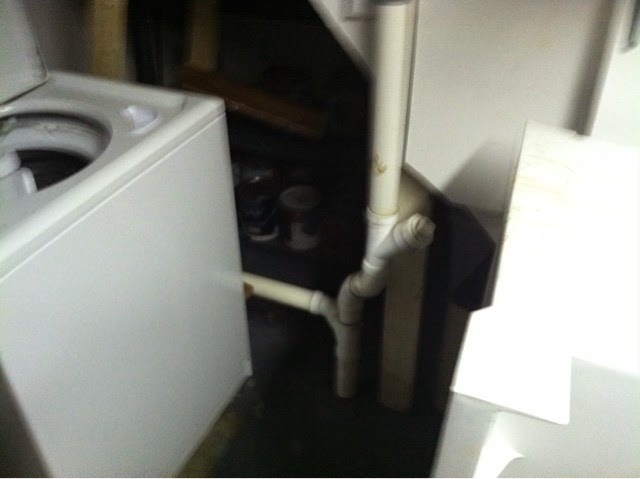 I'm no plumber and in fact I'll have to consult with and likely hire one to move this pipe if it can be moved. If it can, it opens up more possibilities. If it cannot, well then we will have to make do. The rest is just rearranging some of the shelves for better storage. One thing that I might try to do, if I can do it myself or at minimal cost, is build some type of LAN closet down there. This ties in with my dream of having security cameras outside and a strong, stable internet connection throughout the house. You may recall that when we fixed the giant hole in the backyard, I had the landscaper run a PVC pipe to the garage from underneath the deck. In theory I can run a network cable to the garage and set up a switch which can provided wired access to some much desired security cameras -- which I cannot afford at the moment. I found this Utilatwin laundry tub in the alley a while back. 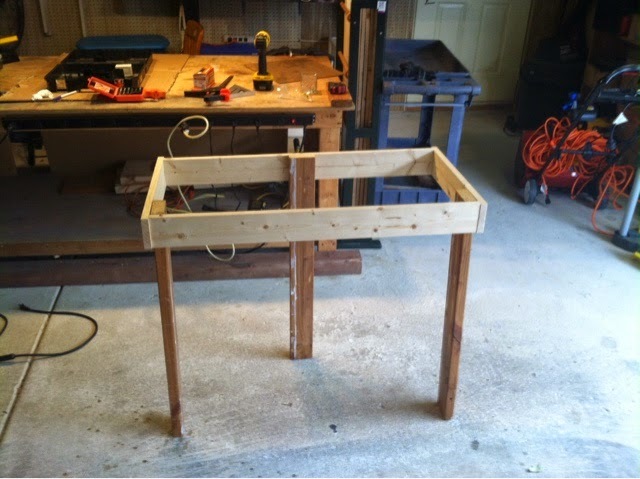 I could go buy a single tub or even just try to get the legs but building my own frame for it allowed me to play with power tools, especially my new drill press. I went with a tripod design because I only had one piece of scrap 2X4 that I was willing to sacrifice. I did make a mistake in the height measurement, had I googled this item first I would have discovered that it should be much lower and I could have gone with a quad-leg design. So I decided to unscrew the legs, cut them down and then re-attach. Since this is just a sink that will live in the basement, as long as it is stable and secure I don't really care. I can always build another frame if the mood suits me. 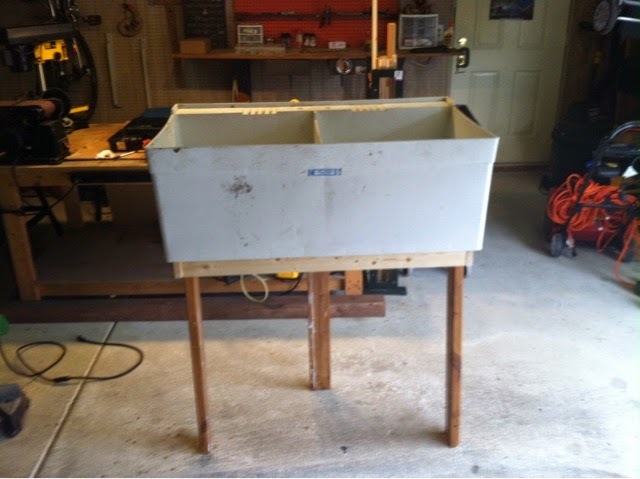 As it happens, a house down the street is being prepped for sale and they have a pile of junk in the backyard, including another one of these tubs with legs. If they toss that in the alley and I am able to acquire it, one of these will live in our basement and the other will go live in my mom's basement, replacing the cement one that was discarded decades ago for no apparent reason.